THIS REPORT HAS BEEN UPDATED. Click here for the current report. Movement Advancement Project. March 2017. License to Discriminate: How Religious Exemption Legislation For Social Services Agencies Harms Children. 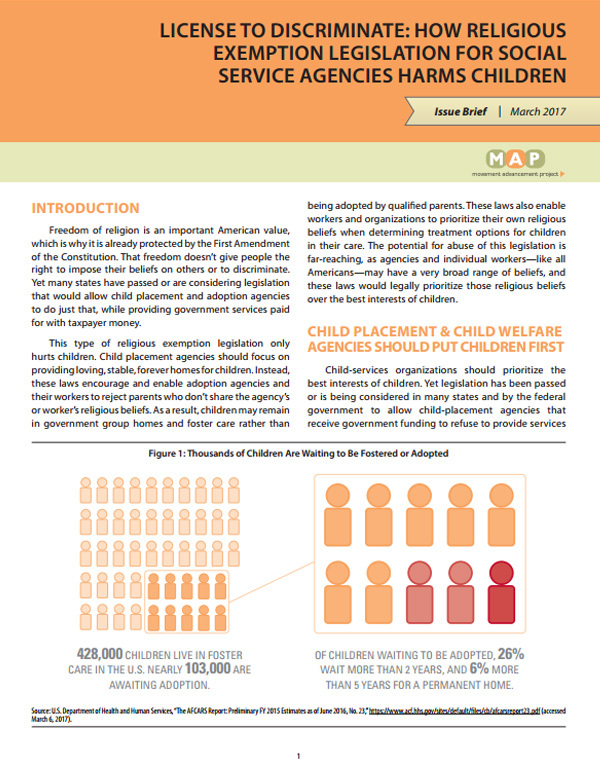 http://www.lgbtmap.org/file/policy-brief-adoption-discrimination.pdf (date of access).